The Lifespan R3i recumbent bike is listed at several consumer products review sites as one of the best exercise bikes on the market. If you want a quality bike that will last you many years with regular use, the R3i is the one. 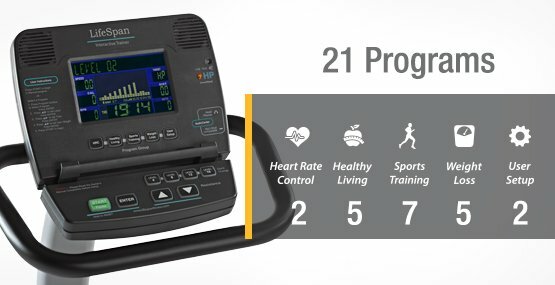 The Lifespan R3i recumbent bike has a blue backlit LCD display showing readouts for time, speed, distance, calories, watts, RPM, and heart rate. The Intelli-Key™ lighting system takes you through the steps of starting a program: the display automatically lights up each button you need to press. If you don’t know which one is needed, wait three seconds and the next button will flash. The programs include Manual, Interval, Mountain, Random, Weight Loss, and Target Heart Rate. 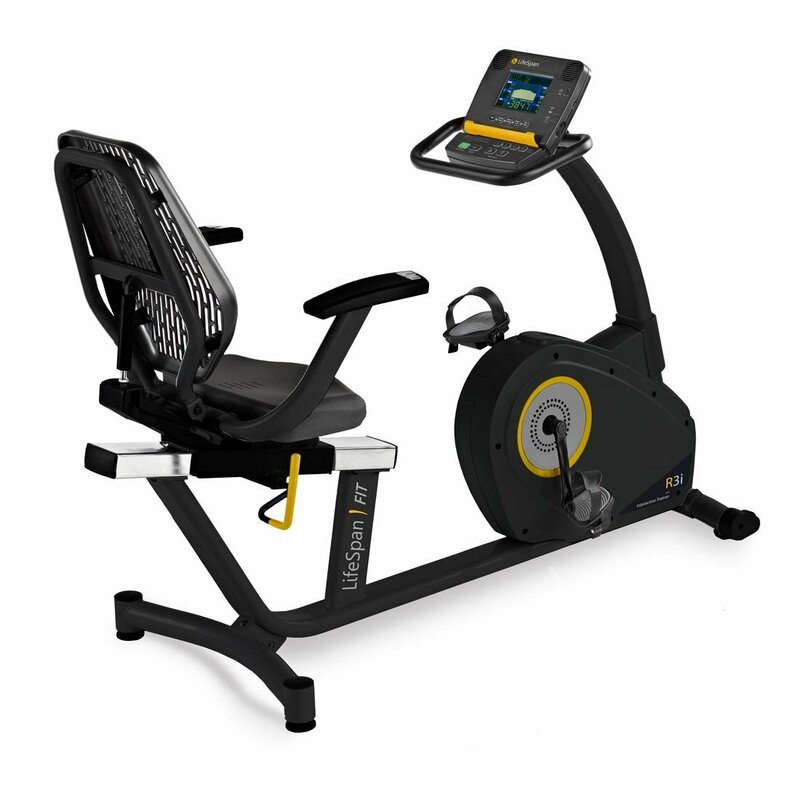 Check out the R3i indoor bike on special sale now! The Lifespan R3i exercise bike features a 12" diameter 18-lb balanced flywheel, high-strength triangular frame with a step-thru on/off design, a three-piece steel crank set, self-balancing pedals with adjustable straps, high quality sealed bearings, reinforced Poly-V belt, and a 24" to 38" seat-to-pedal range. Other features of this recumbent include an oversized seat with lumbar support, 400-lb max user weight, and automatic push button resistance. The reviews on the Lifespan R3i are outstanding, literally 4 and 5 stars. This recumbent exercise bike is easy to program, very quiet with a near-silent belt drive system, offers an ergonomic seat and solid frame, and even has an adjustable console you can tilt for different size users. It is an excellent value and worth the price. This LifeSpan R3i recumbent offers a smooth ride with fluid transitions between the frictionless resistance levels. It is a sturdy, comfortable exercise bike offered at the great price of $1,199. There is only one unusual aspect to the R3i: availability. We have seen it listed as “out of stock” on several occasions, which attests to its popularity with the public. If you can find it at $1,199 with Free Shipping – you have found exercise nirvana for your bad knees and bad back. The LifeSpan R3i recumbent bike is a Best Buy.